Don’t be surprised if this snuggly baby blanket is a favorite for years! Minky has become popular recently due to its luxurious softness. It’s also lightweight, so this blanket is warm without the bulk of heavier materials. Super cuddly Minky is machine washable and durable, so easy to clean up in the event of an oops! Ideal for use as a comfy play mat for supervised tummy time or baby exercise. Cozy for bundling in chilly weather for outdoor strolls, or as a nap time blanket for older babies to cuddle with. A handy gift for new parents in particular, since babies can never have too many blankets. 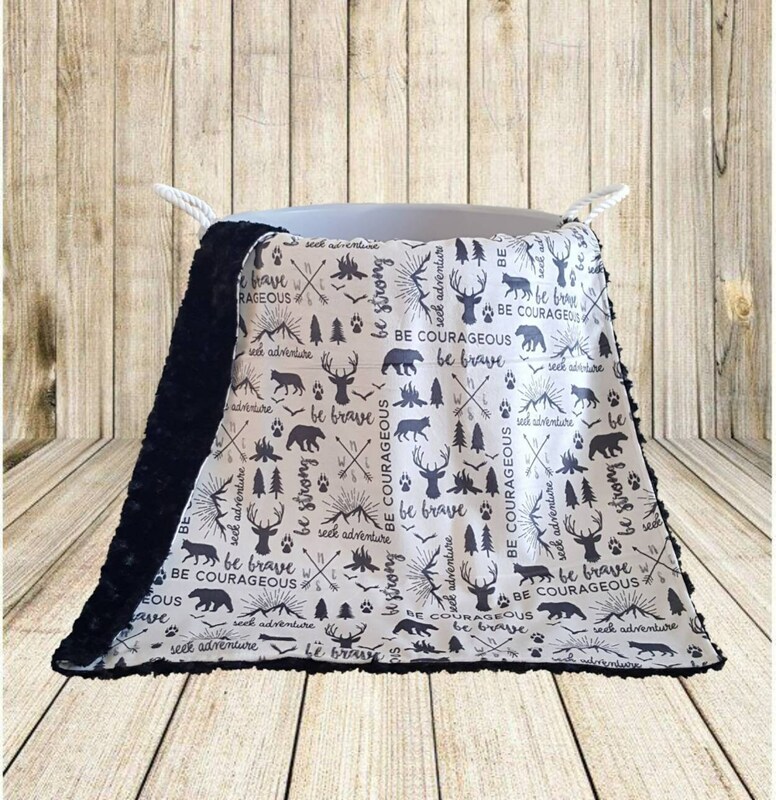 Blankets are made with minky on one side and Minky print knit on the other. *All items are made in a smoke free, animal friendly home.